It doesn’t matter if you’re practicing intense Power yoga, Yin, Bikram, or Ashtanga, maintaining a healthy diet is imperative in order for you to have enough energy and focus to finish. A balanced diet that is full of nutritious foods that are high in vitamins, fiber, and healthy fats will help you to maximize your practice. We have compiled a list of foods that are favorites of the yogi community. As the name states, watermelon is made of mostly water which helps to hydrate you and keeps you from getting dizzy during your practice. Watermelon is also a good source of quick-acting carbs so you can have energy without the bogged-down feeling of eating some other carbs. Smoothies are a great way to get vitamins and nutrients in a delicious yet quick manner. You can throw in all kinds of things, from fruits to veggies and your favorite milk (or milk alternative), juice or even water! Throw in some protein powder and you’re good to go. In a hurry to get out the door? Blend up a smoothie with coconut water, half of a frozen banana and a scoop of cacao powder and take it with you! Bananas are not only yummy but are a great source of carbs to help get you through your practice. Bonus- they’re packed with potassium which helps to prevent cramping! Drizzle some honey on top for added deliciousness. 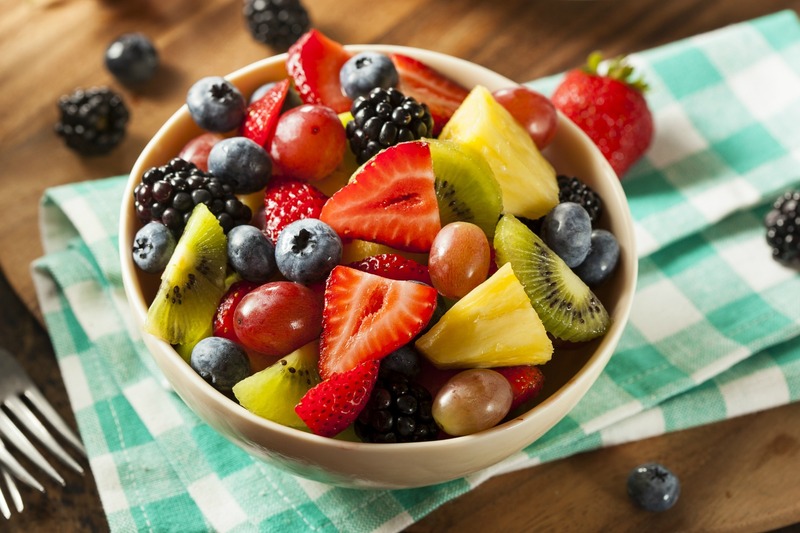 Eating fruits helps to replenish your body of the nutrients lost through sweat during your practice. Eating water-dense fruits such as melons are a great way to rehydrate and refuel your body. If you practice Bikram or Hot Yoga, you may want to drink a coconut water for some added rehydration. Whether it’s kale or collard greens, dark leafy greens are full of vitamins C, E and K, iron, and fiber. We practice yoga because it’s good for our mind, body and soul. We need to eat foods that are also good for our body to boost the benefits of our yoga practice. Not a big fan of leafy greens? Try them in a smoothie with a banana and peanut butter, you can’t even taste them! Yogis need protein to fuel their practice, and quinoa is a great source of protein. It also contains all kinds of other good things like amino acids, iron, B vitamins and much more! This ancient grain is really versatile and can be used for many things, from breakfast instead of oatmeal to a side dish with your dinner! A lot of yogis follow a vegetarian diet and all struggle with the same problem- where do I get my protein? Look no more- TOFU! Tofu can be used for dinner or even dessert! This protein-packed food is also low fat and low sugar. There are so many different ways to prepare tofu- there’s sure to be something you enjoy! What foods do you enjoy eating pre or post-practice?